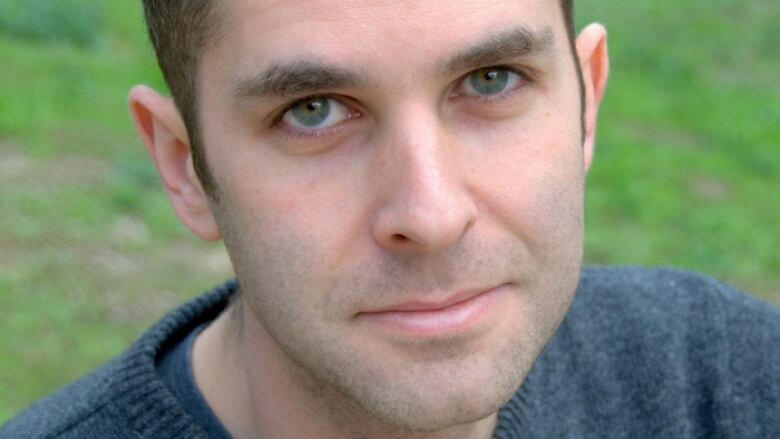 Tom Rachman, author of The Italian Teacher, answers eight questions from eight fellow authors. Tom Rachman's debut novel, The Imperfectionists, was an international bestseller that went on to be published in 25 languages. He's followed that up with the critically acclaimed The Rise and Fall of Great Powers and, most recently, the novel The Italian Teacher. The Italian Teacher tells the story of a man who spends his life struggling to gain his father's approval and live up to his artistic legacy, while also seeking closeness and connections with those around him. Below, Rachman takes the CBC Books Magic 8 Q&A and answers eight questions from eight fellow authors. 1. Bill Waiser asks, "What is more important to get right from the beginning: voice or vision?" First, I must get my cup of tea right. As for voices and visions, I'm visited by neither — I'd worry for my mental health otherwise. I stick with a story, characters and, if I'm feeling daring, a theme or two. Plus more tea. 2. Mark Sampson asks, "What is the longest amount of time that an idea for a book has germinated in your head before you started the first draft? What is the shortest?" Preparations are vital for me, but my stories gain animation only in the writing. For this, it's hard to recollect exactly when, where, and how the idea first took hold. One exception is my fastest work, Basket of Deplorables, an audiobook original in North America (that also appeared in paperback in the UK and Australia). I was offered the chance to write something that'd come out in months, and I immediately alighted on the idea of a story collection tackling the mess of U.S. politics in the Trump era. 3. S.K. Ali asks, "Where was the weirdest/most interesting place you wrote in?" To start a new novel, I'll rent a place faraway and live in total isolation for a week or 10 days. By the end, I'm verging on madness. But I have pages. Among my previous hideaways: an icy cottage in the French Pyrenees, a frigid cottage in Oxfordshire, a chilly off-season seaside apartment in Anzio, and a scorchingly hot studio in Seville. The first few were freezing enough to justify my tea drinking. Bravely, I even drank hot tea in Seville from time to time. 4. Eliza Robertson asks, "What music do you associate with your work?" I'm unable to work with music on; it barges in front of my own thoughts. But occasionally, I've cited music in my books — not pieces I associate with the text but favourites that I greedily co-opt by citation, including Chet Baker and Vladimir Horowitz. 5. Kevin Chong asks, "How have big life changes (marriage, divorce, kids, family, deaths) changed your writing?" I like how this question helpfully specifies what a big life change might be. I've never been married, hence never divorced. But I do have a child, and this has affected me profoundly. But oddly, it changed my writing before I'd ever become a father. To explain: for years, I worried whether I could be a satisfactory parent, and dreaded becoming a wretched one. So should I have kids? My personal quandary bubbles up in subtle ways in my novels. Now I'm a father, and very joyfully so. We'll see how my writing adapts. 6. Hiro Kanagawa asks, "What is the most significant piece of work you have abandoned, warehoused, burned, completely destroyed? Was it painful or liberating to get rid of this work? I destroyed my first attempt at a novel, which I produced after moving to Paris at age 30 and writing fiction full-time. During that initial year, two problems arose: 1) my writing was awful; 2) I went broke. In penury, I prayed that the manuscript was at least decent. Yet I had to confess the opposite. The experience proved crucial, though. My efforts were training. Next time, I knew better how to compose a book. This also demonstrated to me that — in a trade where one's very material is experience — that little is pure waste. 7. Tanya Talaga asks, "Who is your most feared critic?" My family. Partly because I admire their views. But largely because, if they don't enthuse — these dear relatives who favour me and support me with as few conditions as is reasonable — if they don't like what I've done, I must've bungled terribly. 8. Silvia Moreno-Garcia asks, "If you could have dinner with a fictional character, who would it be and why?" Fictional characters eat all the bread, so I dine only with nonfictional characters.